They say luck is when preparation meets opportunity and I am a very lucky guy. When I saw that my friend and Incorrect Records label boss Anthony Attalla was spinning at a birthday party at Spybar in Chicago in May, I was on the lookout for a deal on award tickets. I just scored round trip airfare for just $11 and 5800 Southwest points which is a steal! I’m going to do this one a bit differently and break this deal down backwards. Step 1: Find your trip dates using points. For an in depth look at how to find the cheapest award tickets read our Southwest Secrets Volume 1 and Southwest Secrets Volume 2 articles. But I’m gonna show you the basics right here. 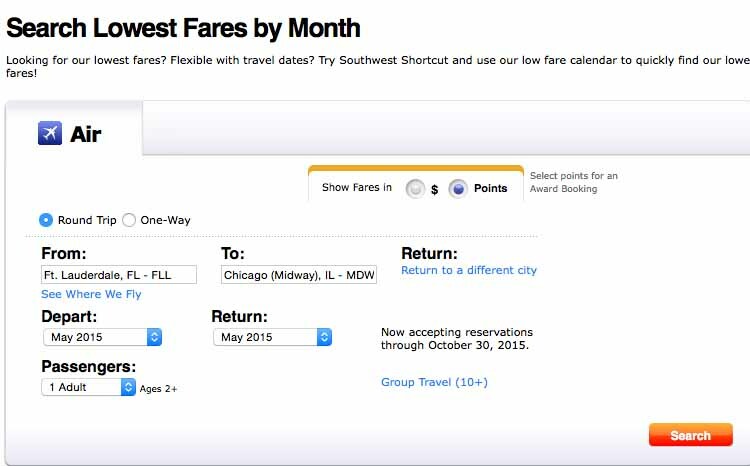 Go to right to the Low Fare Finder on Southwest’s site and put in FLL for the Departure City and MDW for the Arrival City. Change it to show fares in points and put in May for the dates. This will bring up a calendar view. Pick a date that has the cheapest fares if your schedule is flexible. Why not extend your trip an extra day if the ideal dates aren’t available. Live a little! 🙂 I was able to score two of the dates that were just 2924 points each and make it for the event on May 16th. This means the total cost of the trip is 5848 Rapid Rewards points + the taxes which are just $11! Step 2: Transfer or earn the points you need. If you don’t already have 5848 points in your Rapid Rewards account then Southwest is a transfer partner of Ultimate Rewards so you can just transfer your Ultimate Rewards points to Southwest points with a 1:1 ratio! If you don’t have any Ultimate Rewards points, then why not get the Chase Sapphire Preferred card? 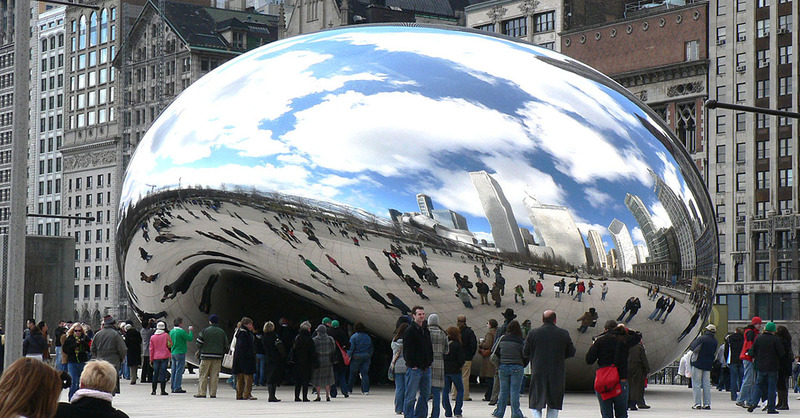 It has a 40,000 UR point sign up bonus which is enough for six free trips to Chicago at these prices. 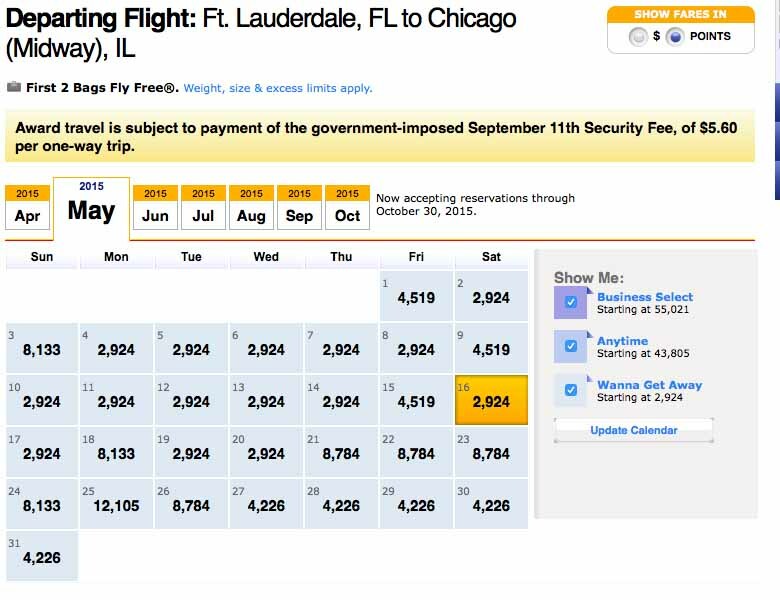 Let me say that again, get one credit card, fly 6 times to Chicago… It’s hard to believe this is legal! If your credit isn’t good yet, then another option would be to use Rapid Rewards Shopping Portal to earn points by shopping online. If you aren’t familiar with how to make miles by shopping online then why not read our article on How to Earn Mega Miles with Shopping Portals? And if you are one of those poor souls who like to pay cash for tickets, you can always get one for $59 one way instead. Go enjoy your trip to Chicago and if you are going to be at Anthony Attalla’s birthday at Spybar then hit me up and we can talk travel over drinks. Previous Previous post: Make an extra 2250 AA miles by shopping online!